Good saving habits start early and last a lifetime. To help with that, we have two youth accounts - Our Sandy Saver Account for ages 12 and younger, and our Student Checking account for ages 13 - 17 years old. 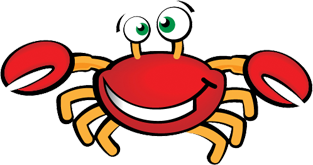 Our Student Checking Account is just for members 13 – 17 years old. It gives you the chance to gain the financial independence you’ve been looking for, without spending a dime. With your own checking account and debit card, you can start spending your money, your way. Your Money. Your Account. Your Future. Open a Student Checking Account with these smart features. Members ages 13 – 17 can open a Student Checking Account with their parent or guardian listed as a joint owner. You receive your own debit card that you can use in stores, online, or anywhere else that you see the Visa logo. It’s free – There are no hidden fees or charges you need to worry about. Having a Student Checking Account makes you eligible to apply for a GCEFCU scholarship. Online Banking – Keep track of your saving and spending online from your computer or phone. Don’t Know Much About Checking Accounts Or Banking? That’s the easy part. We are here with information about how to write a check, use a debit card, save for your future, or anything else you need. And when the time comes, we’ll also be happy to show you how to get the best deal on your first car loan. *Parents must cosign & meet minimum credit check standards for the student’s Visa credit card pre-approval. Disclosure: Must be between ages 13 – 17 to qualify for a Student Checking Account. Parent or guardian must be listed as a joint owner on the account. Velocity limits: $250 cash, $500 debit, $500 credit. 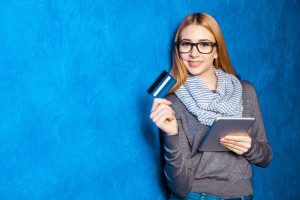 Once the member turns 18 they may request that their account be changed to a regular checking account with regular velocity limits. Start encouraging your family’s future generations of penny “inchers’ to join the Sandy Savers Club today. 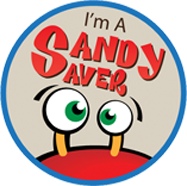 Stop by one of our locations, give us a call, or visit the special Sandy Saver website at www.sandysavers.com. Use this form to open your minor child (aged 0-17) a membership so they can start saving and learning about finances.